Retail intelligence experts Springboard today forecast that Black Friday and the weekend that follows will do very little to help the beleaguered high street. Year-on-year declines of nearly 4% compared with Black Friday 2017 are expected, plus a fall of 2.7 over the weekend as a whole. This follows a decline in footfall on Black Friday 2017 of 3.6%, and 1.1% over the weekend, revealing the UK’s appetite for this pre-Christmas spending spree may be wavering. The predicted footfall declines are hardly a surprise, given that many retailers are deliberately focusing on directing consumers online rather than in store during the Black Friday period. However, predictions for sales volumes online are lower than expected, with Springboard forecasting a 4% increase in online transactions on Black Friday 2018 – a figure that is down on last year’s jump of 5.5%. Meanwhile, although online transactions are set to rise on Friday, Springboard forecasts that they will drop over the weekend by around 5% compared with last year; primarily due to the fact that they rose significantly last year from 2016 (by +24.2% on Saturday and by +25.8% on Sunday) and the retail intelligence firm believes this rate of growth will be difficult to maintain in the current climate. Footfall and spending activity over this year’s Black Friday period is likely to be impacted by the economic pressures, such as high debt levels and significant living costs, that have limited retail spend and driven a decline in footfall and online spending throughout 2018. This pressure on spending and reduced disposable income will be further compounded by the fact that Black Friday is taking place a week earlier this year, meaning that many consumers will not be paid until the week after, possibly forcing them to delay spending or rely on credit, which is already at its highest level since 2007, says Springboard. In addition, the anticipated decline in footfall and limited growth in online transactions is likely to be exacerbated by the heavy discounting that has been taking place almost continuously throughout the year, together with the widespread debate around whether Black Friday discounts are discounts at all. 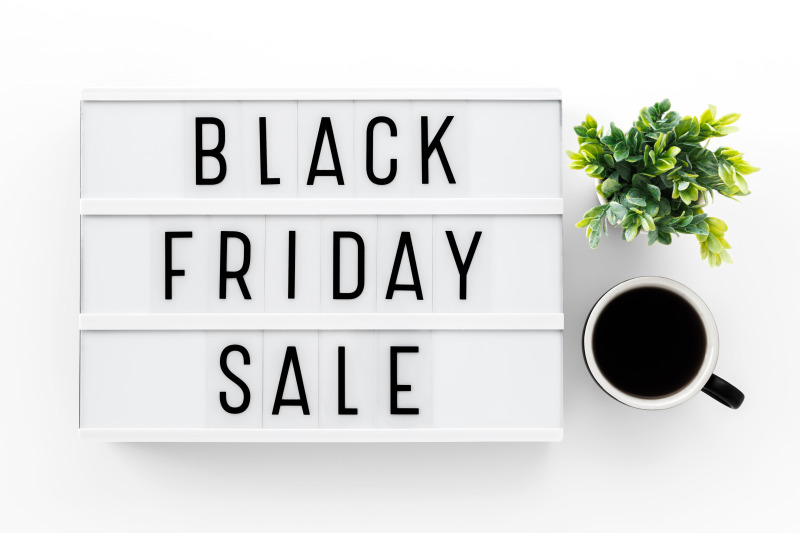 Savvy consumers now utilise price comparison websites to identify whether the product has ever been sold for less than the Black Friday sale price. It is forecast that high streets and shopping centres will be the hardest hit, whilst footfall in retail parks is likely to decline by only 1% on Black Friday itself, and rise marginally by 0.2% on Saturday, November 24, as consumers have the time to browse bricks-and-mortar stores in advance of buying online. Whilst retailers like Asda and B&Q have announced they won't be participating in Black Friday this year, others have already launched deals ahead of the big day on November 23, with Amazon's campaign already in full swing and promising to be bigger than ever - complete with a bricks-and-mortar pop-up shopping experience. Home appliance e-tailer AppliancesDirect.co.uk is predicting big things and has already seen a 70% increase in traffic to its site, whilst Robert Dyas has announced a huge number of promotions across home electricals, DIY products and gardening and gift lines, including a Bosch PSR 1800 18V cordless drill, down £40 to £59.99; a Flymo 2700W GardenVac 3-in-1, down to £62; a Town & Country box pruner gift set for just £5.99, and a Salter Megastone 5-Piece pan set, down around £119 to £74.99. Within Argos' host of discounts, is a Yale Smart HD CCTV Kit, down £80 to £219.99; and Gtech MK2 K9 AirRam and multi cordless vacuum cleaners, with a third off at £279.98, whilst leading independent tool specialist D&M Tools is offering promotions on a number of big brands, such as DeWalt, Irwin, Makita, Fein, Bahco, Nilfisk-Alto, and Kreg. Deals include a Makita DLX2131JX1 18V 2-Piece Combi Kit, DHP482 & DTD152 3 x 3.0Ah Batteries, Charger & MakPac Case, down £60 to £239.95, and DEWalt 18V cordless multi-tool with battery, charger case and 35 accessories for £174.99.